Marina (left) and Lucie Stefanoni claimed the U19 and U15 National Junior Squash Championship titles at Harvard University. For the third year in a row, Marina and Lucie Stefanoni are both National Junior Squash champions. 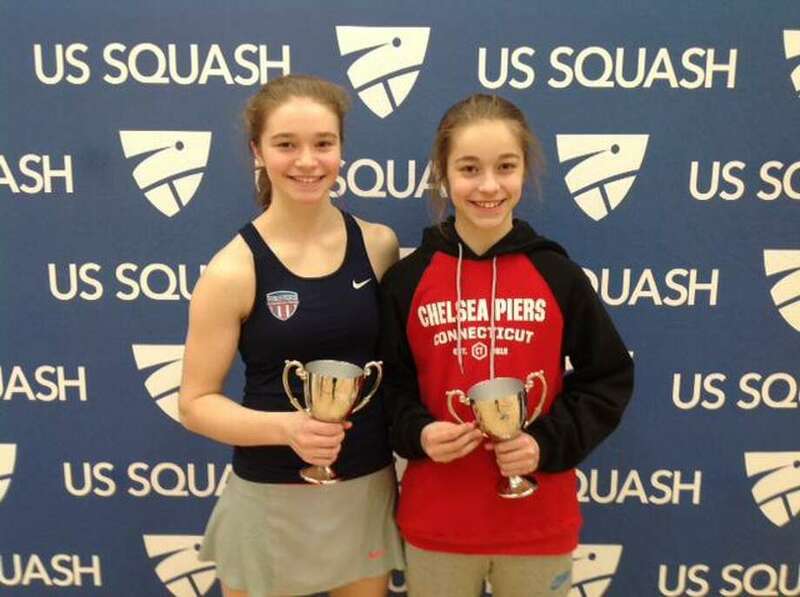 Marina, a 15-year-old freshman at Darien High School, and 13-year old Lucie, a seventh-grader at Middlesex Middle School, claimed the U19 and U15 National Junior Squash Championship titles at the tournament held at Harvard University on March 16-18. For Marina, this 2018 title marks her sixth consecutive year winning a national championship and her third GU19 championship title. In 2016, at thirteen years old, Marina made history as the youngest squash player ever to win a GU19 US National Championship. For Lucie, this GU15 title marks her third-consecutive year winning a national championship after winning back-to-back GU13 titles. Both girls were No. 1 for their age divisions in the national rankings. Over the course of the season, from September to March, Lucie won 13 tournaments, including the Canadian Junior Open GU15 Division and the Scottish Junior Open GU15 Division. In December, Marina won the US Junior Open GU19 Division at Yale University, which is the largest junior tournament in the world with 940 players from 41 countries. In January, Marina became the youngest player to ever play in the Tournament of Champions, a professional tournament held at Grand Central Terminal in New York City. This summer, Marina will be competing for Team USA as its No. 1 American junior female player at the World Junior U19 Squash Championships in Chennai, India.